Vacation rental software is designed to support vacation rental companies with customer management, bookings management, and facility maintenance management. This type of software helps vacation rental companies manage a customer’s satisfaction during their vacation. It is used by managers and supervisors to track daily activities such as cleaning and maintenance or guest traffic; by sales and marketing for promotion; and by staff members to plan and schedule rentals. This type of software usually integrates with online booking websites where vacation rental companies can share their offerings. Even though most solutions provide basic facility management functionality, it is commonplace that vacation rental software also offers integration with facility management software. Vacation Rental reviews by real, verified users. Find unbiased ratings on user satisfaction, features, and price based on the most reviews available anywhere. AirGMS is an all-in-one guest management platform specifically for Airbnb businesses that allows users to control bookings and alterations, guest communications, as well as automate day-to-day operations. Users are able to operate all accounts using a single interface, with access to the same advanced functionality through the mobile web platform for managing on-the-go. AirGMS enables users to prepare check-in/check-out instructions using the most used responses, and convert them into templates. Tailored messages can be sent to multiple guests at a time, with a single click. Users are also able to create automated ‘trigger’ messages that can be scheduled to be sent to visitors on a certain date and time. The multi-calendar function allows users to view all future bookings and dates, make price adjustments and seasonal rate changes, and block out any dates the property is unavailable. The dashboard enables users to stay on top of daily check-ins and check-outs, keep track of when to send in the cleaning team, and any other important tasks. Team management features allow users to give their cleaners and support staff access to the AirGMS platform to view their scheduled duties for each booking. Work orders can be assigned to specific members of the team, and allow for task completion confirmations. AirGMS offers multi-platform synchronization enables property managers to sync all reservations, bookings, and calendar data from multiple third-party short-term rental booking platforms such as HomeAway, TripAdvisor, Booking.com, VRBO, and more. Benefits * The multi-calendar dashboard feature gives users the opportunity to keep track of all day to day activities, check-ins, check-outs, guest reviews and cleaning duties. * AirGMS enables users to connect multiple Airbnb profiles, eliminating the need to login/logout every time. * AirGMS helps increase popularity with guests, helping users to respond to inquiries more efficiently by automating and scheduling 'trigger' messages to guests. * The platform helps users prevent double-booking issues by letting users see if a single room was booked within a property, or the entire house has been rented out. * AirGMS allows users to view future dates and adjust prices on all bookings, across all properties, directly from the multi-calendar dashboard. NAVIS is customer relationship management (CRM) software and services, specifically designed for the hospitality industry. Our CRM unifies hotel Reservations and Marketing teams around their guest data to drive more bookings and revenue. We are an online booking & management software product for vacation rental property that helps managers and owners save time, create quotes and bookings faster, look professional and keep detailed records without needing an accountant or staff. Easy and simply on the top with tons of power and automation stuffed inside. The most powerful vacation rental management software available. Save Time & Book More with BookingSync—a vacation rental system that makes the lives of vacation rental owners, managers, and agencies easier. Centralize bookings. Sync property listings onto accommodation sites. Create a professionally-designed, customizable website. And add extra vacation rental services with the BookingSync App Center. Reservation Nexus is an all-in-one seamless reservation system and property management system for Bed and Breakfasts, Inns, RV Parks, and much more. Founded in 2003 and launched in 2005 for the the bed and breakfast lodging industry, ResNexus has quickly become an innovative leader and source of inspiration for reservation software worldwide. ResNexus is proud to offer a seamless, cloud based, all-in-one system to help your business thrive. This includes a Front/Back Desk system, a beautiful personlized website - with an integrated booking engine - and a variety of options for your channel managing needs. To strengthen your business presence, we further offer automated marketing, customizable automatic revenue managegment, Smart Minimum Nights, and much much more! CiiRUS is a cloud-based reservation and guest managmenet solution that provides features and functions to help you manage your reservations and guests. Escapia is the leading vacation rental software solution for professional property managers. Escapia comes with a full suite of user-friendly tools to simplify your rental operations. From robust accounting functionality, reporting, online distribution, billing, reservation manager, and more. Escapia is a great fit for vacation rental companies of all sizes. Get a demo today and learn how Escapia can help grow your business, automate tasks, and improve guest experience! Guesty’s software provides short-term property managers and management companies with an end-to-end solution to simplify the complex operational needs of short term rentals. With Guesty, users can manage listings from multiple online travel agencies including Airbnb, Booking.com, Agoda and TripAdvisor, and utilize the company’s guest-centric tools including: Unified Inbox, Automation Tools, 24/7 Guest Communication Services, Payment Processing and more. Property management is hard. Guesty makes it easy. BookingPal provides managed distribution via a suite of products and services specifically designed for the Vacation Rental industry to increase revenue, occupancy & efficiencies. LiveRez is a cloud-based vacation rental software thatallows you to manage your operation anywhere, with mobile capabilities, back office, the ability to track operations in real-time and more. 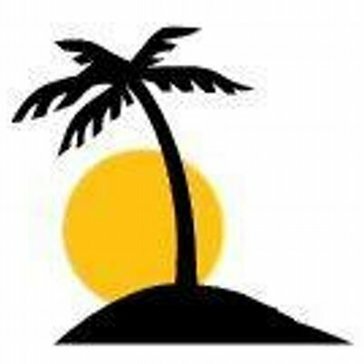 Lodgix.com is a web-based guest managment and online booking software with interfaces and features including automated communications, document creation, homeaway and flipkey integrations, and more. 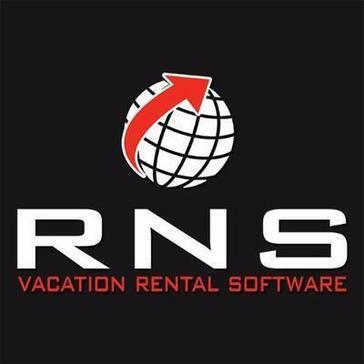 Vacation Rental Tracker Plus is a hospitality property management system and reservation software that allows you to manage invoices that can be generated for any time period, organize rental activities including tasks, contacts and more. 365Villas.com is a cloud-based rental management software with features and funcitons to help manage your short-stay rental property business. Barefoot Agent is a browser based vacation rental software that is integreated with CRM, social media and yield managment capabilities that provides a reminder system, denial tracking, group reservation tools and more. Bookerville is an online rental software for multi-property vacation rental managers that provides features to help you manage your rental properties such as a master calendar, a channel manager, email templates, and more. iStateSoft Property Manager is a web-based software for vacation rental managers taht automates property listings and helps manage the property management process by taking care of inquiries, payments, reservations, photoos and more. Market your business with a beautiful, easy to use website. Our templates are mobile-ready, booking-ready, customizable, and completely integrated with Lodgable. Lodgify is an innovative all-in-one SaaS solution that simplifies vacation rental marketing. The software allows both vacation rental owners and property managers to create their own mobile-friendly website with a “Book Now” function, manage reservations and availabilities efficiently, and instantly synchronize property information with external listings on vacation rental portals. MyVRMS is an online vacation rental software that allows you to manage your vacation rental inquiries and automates the response of your request-for-quote inquiries from major sites. Property Studio is a reservation management system that helps you manage your reservations that require time and organization by following up with security deposites, rental payments and more. RealTimeRental is a rental software for e-business solutions that is designed to suite all the needs of your online rental business, with inventory management, shopping cart, order management, and more. Connect your seasonal properties to dozens of advertisers online, update rates and ads on a single platform. TRACK Hospitality Software is a leading omnichannel cloud communication platform for hospitality companies. It provides TRACK Pulse, the leading voice, email, text, chat and secure messaging platform built specifically for independent hotels, resorts and vacation rental management companies, TRACK CRM, which is a full suite of sales and marketing solutions that can send real-time confirmation letters, pre-stay/post-stay, and life cycle communication to guests, and TRACK Cloud Connect which is a hosted PBX solution to replace current call hardware. In addition, TRACK offers a suite of consulting and professional services to help reservations, sales, marketing and revenue teams increase conversions and customer delight. V12.NET is robust vacation rental software perfect for property managers with a high inventory of units or complicated inventory. V12.NET can handle rental units that are timeshares, lock offs, and other difficult cases with ease. V12.NET features a full accounting suite, reporting, online distribution, reservation management, billing, and more. Learn how V12.NET can help streamline your operations, delight guests, and grow your vacation rental business. Get a free demo today! Vacation RentPro is a vacation rental software that provides tools to book, manage, and advertise vacation rental properties. An intuitive way to manage all your channels, invoices, payments and clients. Friendly and easy to use. Aaxsys is a web-based reservation and marketing software that manages clients, properties, and agents for hospitality, property managment, and corporate housing firms. AccuBook Booking Engine offers a two step check out to sell your rooms, packaged offers, vouchers and any other tiems you wish to sell with promotional code offers, yield management, sold out email alerts, and more. Airfinch Airbnb clone script is for vacation rental stays and online accommodation business. Here you can visit all over the world for cheap cost with our online booking service. Just get your own script and start your business from both guest and host. ApartmentJet is an enterprise solution to help you grab the reins and right the saddle. We provide property management companies the portfolio-level visibility, control, revenue opportunity, and power to maintain a sense of community that’s too easily sacrificed in today’s sharing economy. Avantio VRMS provides cloud-based solutions to provide safe and scalable solutions for hotels, aparthotels, reservations centers, associations and more. Link your AirBnB account, or multiple accounts, with one click. Youll be able to manage all the accounts, calendars, and pricing recommendations from the Beyond Pricing dashboard. Bistrostays is a bundled vacation rental software that enables you to get started with your own online accommodation booking website. The script can easily be used for other business verticals such as home rental, apartment rental etc. BNBbasket is a vacation rental solution with reviews management, payment processing, and easy messaging. Hi there! Can I help you find the best Vacation Rental solutions?